Aprés-Hudson Highlands Hike – Jet. Set. Jeanne! Mark and I decided to take an impromptu hike in the Hudson Highlands this past weekend. We headed to Breakneck Ridge after breakfast and worked up a mighty appetite climbing ‘nature’s StairMaster,’ gaining nearly 1,500 ft. in under a mile. By the time we got back to the car, I was famished (Mark, not so much). I’d read about the sandwiches, salads, and cheeses available for purchase in Boscobel Gardens in Garrison, but was sorely disappointed by what was on offer. After shaking my fist at New York Magazine’s too good to be true write up, I’d remembered that we’d passed by the Garrison Café just down the road. Garrison Café or GCaff was recently taken over by Lydia and her family and has received a terrific makeover, looking more quaint and welcoming than ever. 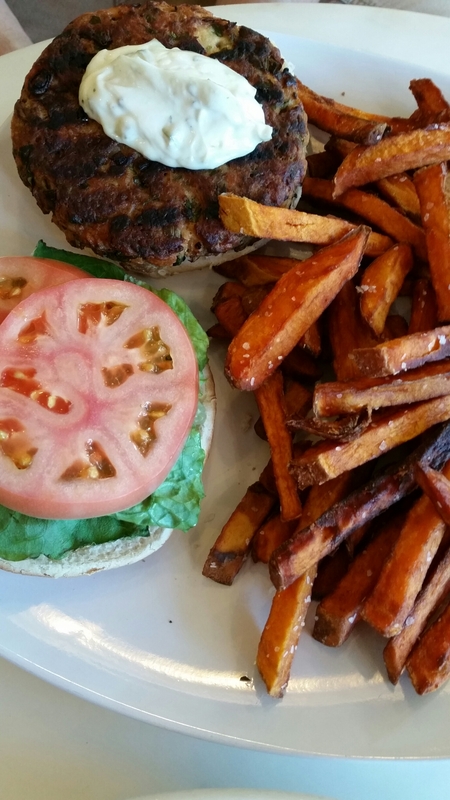 Next up: salmon burger and sweet potato fries. Delicious. We topped off our late lunch with dessert: carrot cake and a raspberry macaroon (note that both are not pictured here because they were given our full attention). So the next time you’re up in the Hudson Highlands, be sure to stop by GCaff and fuel up before and after your hike. 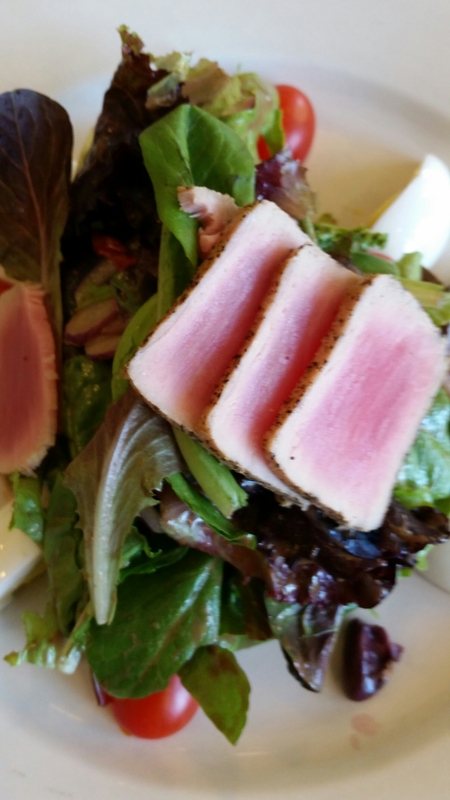 Although thrilled to see a good review of Lydia’s G Cafe, I am appalled you would pubically criticize Hudson Hil’s due to lack of selection at Boscobel, a place that is not their own. You did not try the food so it should not have been mentioned. Thanks for your comment. I apologize for the misunderstanding; I was not criticizing Hudson Hil, but the selection of food at Boscobel, that was featured in New York Magazine’s latest article on Day Trips. For New Yorkers like I that trek out by train for such foodie and outdoor experiences, the selection was not as the article described. Again, sorry this came off the wrong way in my blog post. I’ve since removed mention of Hudson Hil.